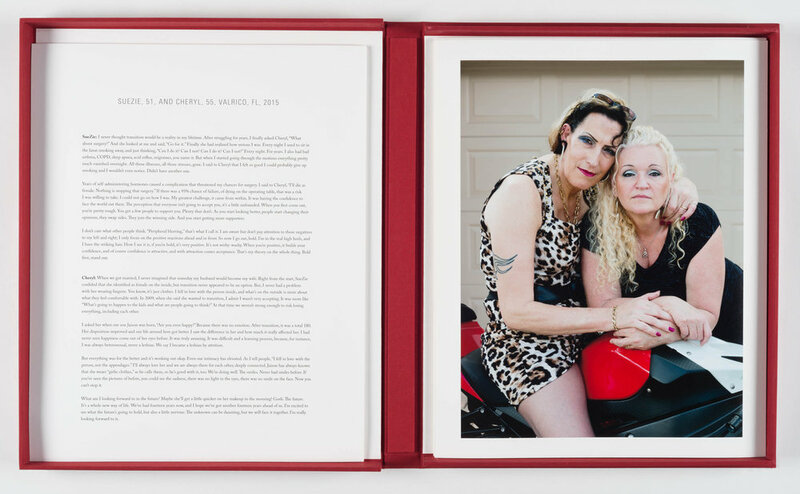 This limited edition portfolio includes twelve photographs and interviews from To Survive on This Shore: Photographs and Interviews with Transgender and Gender Nonconforming Older Adults, a collaboration between photographer Jess T. Dugan and social worker Vanessa Fabbre. Designed specifically to be used in university art museums and collections, this portfolio operates as both a ready-made exhibition and an educational tool. 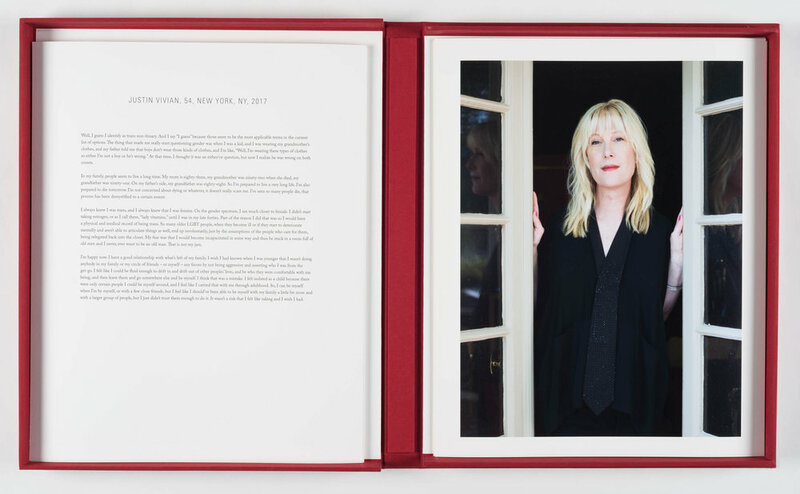 The portfolio was published in 2018 in an edition of twelve and was printed by Jess T. Dugan at Light Work in Syracuse, NY. 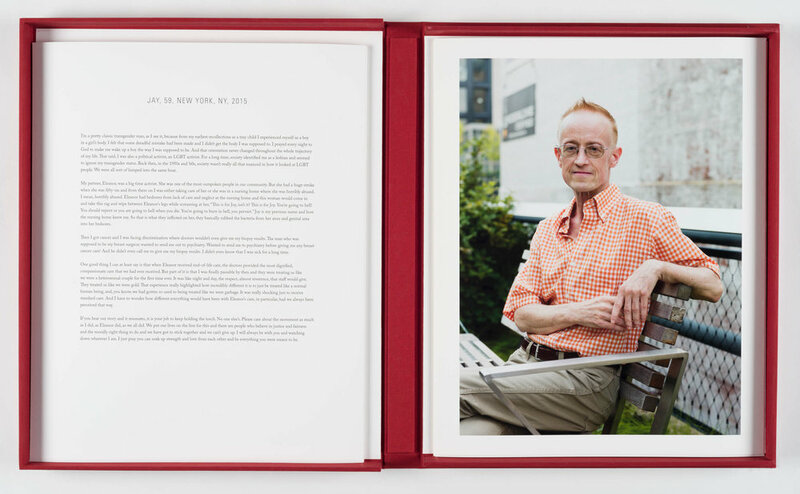 Each photograph is signed, titled, and numbered verso in archival ink. The photographs are printed on Hahnemühle FineArt Photo Rag Pearl paper and the texts are printed on Canson Edition Etching Rag paper. 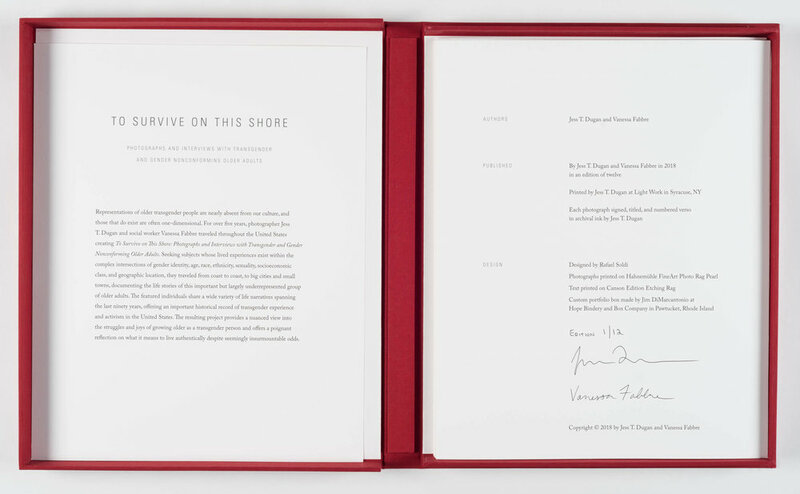 The portfolio was designed by Rafael Soldi and comes in a custom box made at Hope Bindery and Box Company in Pawtucket, Rhode Island. The portfolio is in the permanent collections of the RISD Museum, the Smith College Museum of Art, the Addison Gallery of American Art, The Frances Young Tang Teaching Museum and Art Gallery at Skidmore College, the Block Museum of Art at Northwestern University, the Allen Memorial Art Museum at Oberlin College, the Gregory Allicar Museum of Art at Colorado State University, and the Light Work Collection at Syracuse University in Syracuse, NY.